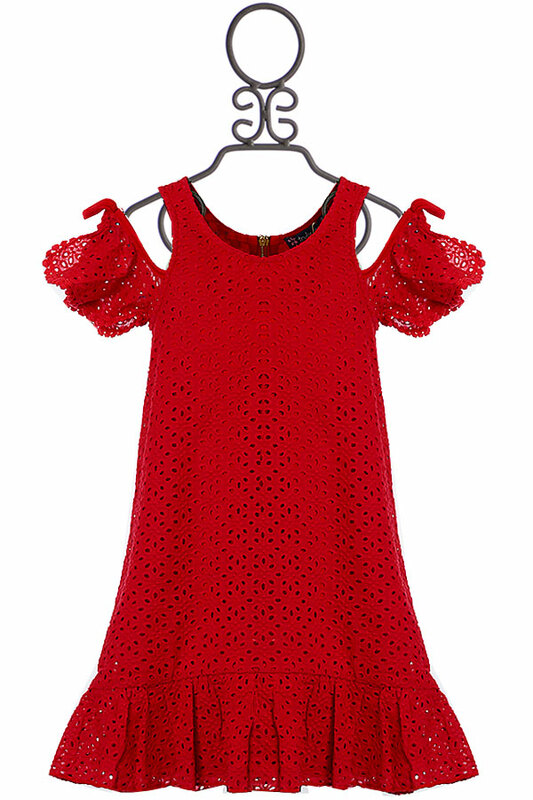 $49.6 - Truly Me is proud to offer this new eyelet dress as a part of their spring 2018 release for tweens. The dress is a cute A line cut completed with a ruffle hemline. The wide straps frame the U neckline while cutouts are placed on her shoulders. The sheer fabric ruffles for short sleeves and is tied with a bow. A zipper closes the back while the solid red is a bold color we adore. The design is fulling lined in red.